We learn a place and how to visualize spatial relationships, as children, on foot and with imagination. Place and the scale of place must be measured against our bodies and their capabilities. Now available on Amazon markets worldwide. If the message of this resource was a hashtag it could be #getoutside. 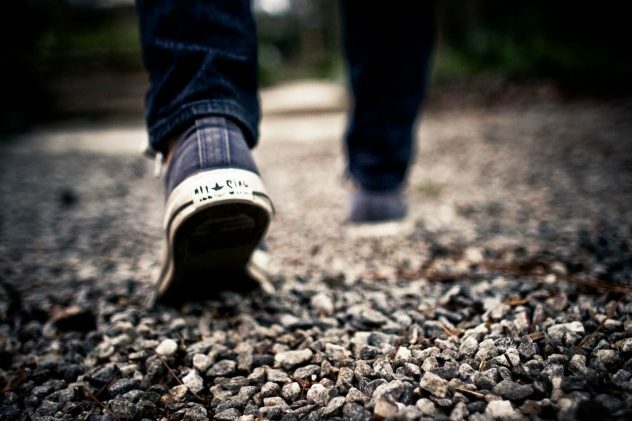 The simple act of taking a walk—a walk with a curricular focus or purpose—can have multiple positive consequences—many of which are much more profound than we ever imagine. For example, walking can support students’ health and wellbeing by getting them moving. It can also emotionally and imaginatively engage learners by changing the “context” of learning (“context” meaning both location and the form of attention and involvement required of students). On a deeper level walking-based practice connects curriculum topics with/in the real world. A new level of curriculum relevance can emerge for students as a result. Going even deeper, walking-based practice can support students in developing a sense of Place. Sense of Place, here, refers to an emotional connection to some aspect of the wildness in the world that surrounds them. Sense of Place involves a sense of community. Sense of Place is what can change how our students understand the world of which they are part—it can help them re-imagine their relationship with the natural and cultural communities they live in (Judson, 2010, 2015). This Walking Curriculum challenges teachers to re-imagine how they teach and it encourages teachers to personally re-connect to Place and community. The #getoutside message involves acknowledging that our communities—natural and cultural—are teachers, too. This Walking Curriculum breaks down concepts of “school” that keep students inside and inactive. So, this book offers practical strategies and examples, but, more profoundly, it encourages teachers to have a new outlook on their teaching. It will empower teachers to #getoutside (physically outside and, figuratively, “outside” by rethinking how they engage their students). It invites teachers to grow beyond the book within an online community of K-12 imaginative ecological educators. The Walking Curriculum is readily useable for teachers K-12. The activities described can be easily adapted and used in all contexts—limited additional time and/or resources are required. 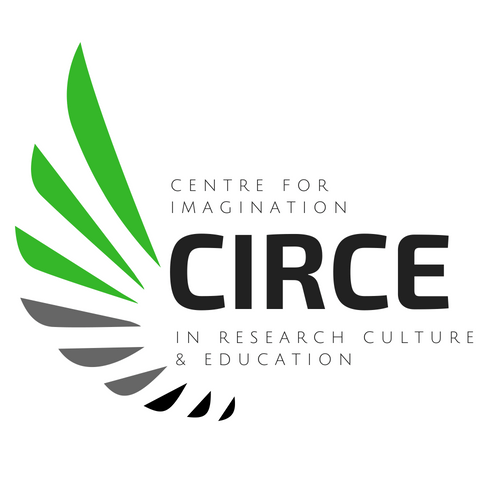 It reflects principles and practices of Imaginative Ecological Education as it offers walking activities that engage student imagination and cultivate emotional connection with place. The 60 walks provided in the resource reflect a variety of themes, perspectives, and motivations. For example, students may be asked to find things (such as shapes, spaces or lines, evidence of growth or change, “the best” hiding places), to change perspectives (imagine being a beetle, a detective, or a visitor from outer space), to encounter the world differently (emphasizing one sense over another or moving through space differently), or to seek evidence of human-nature relationships. In all activities, the aim is to deepen awareness of the particularities and meaning of place. serve as examples for your own, place-inspired teaching ideas. Want more information? 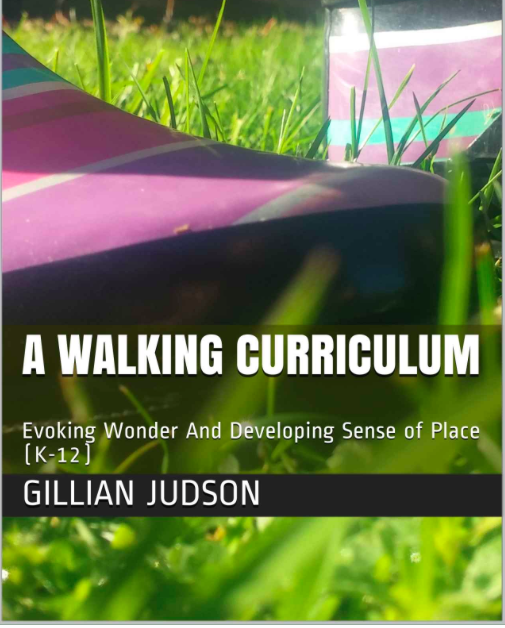 Click HERE for 5 Sample Walks from the Walking Curriculum and recent posts on the Walking Curriculum (PreK through Higher Education) by practitioners. FREE journal to support your Walking Curriculum work/outdoorlearning. Judson, G. (2015). 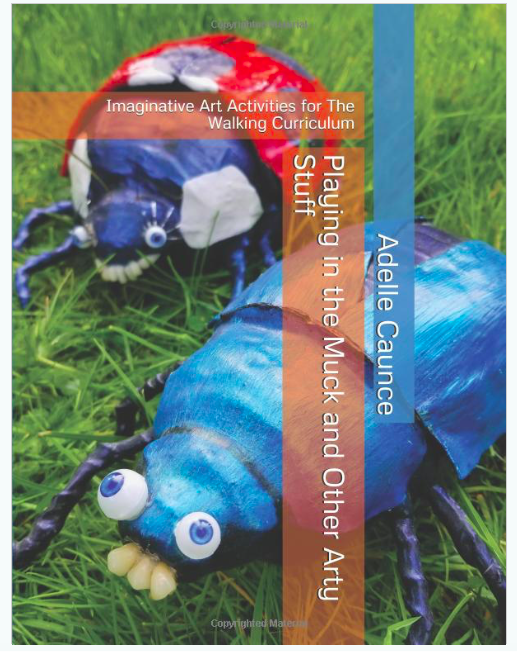 Engaging imagination in ecological education: Practical strategies for teaching. Vancouver, B.C. : UBC Press. Judson, G. (2010). A New approach to ecological education: Engaging students’ imaginations in their world. New York: Peter Lang. Gillian, I’ve been browsing through all of the different types of walks you provide here and can’t wait to share with my teachers. This is an amazing resource!! Thank you so much for creating all of these different types of walks (beyond my imagination!) and sharing them. Wow. I think moving is such an important part to education! Even if it is just moving around the classroom or building! Education is stuck on tests and what we have always done! I had a student tell me yesterday that after three weeks of school he has done more labs than any other science class and probably all of them together! That is not good! Needs to be addressed! We started trying your Walking Curriculum activities last year, first with our school staff so that they could experience the benefits, and then with our K-Grade 5 students. Some of the teachers have chosen to pursue further adventures outside this fall, and I would love to be able to send you some of their photos. Can you let me know the best way to send them? I welcome hearing about your experiences 🙂 Hope everyone is learning and having fun. The following are tear offs that I cut up and fold in half to allow a random drawing by randomized pairs. I try to save some closer locations for mobility impaired students. Following the walk this question is on the board for their journals: Having talked with your classmate about your composition what areas will you address first in your composition and why? i am just an ABD but I think this is valuable work and would love to have further conversations about it. Thanks for sharing this Joseph. I hope you enjoy looking at the range of walking-based activities–PreK through high school so far. Tell me, how do your students enjoy this particular activity? Do they feel more focused? How does the activity make them feel? I apply a version of walking curriculum in my first year university writing studies classes at the University of Alberta in Edmonton, AB, and it has multiple wonderful effects. So glad to discover your book on it as well for the K-12 context, but I wanted to say that these ideas apply to all age groups and diverse contexts. I often (and often impromptu as needed) get my students to leave their cell phones and everything else in the classroom and go walk and talk outdoors (weather permitting) with a randomly assigned partner about a current project or question about writing–and come back with something to share. It’s always ‘tasked’ and ‘timed’ (often 15 minutes in a three hour class; 5 minutes in a shorter class) to keep things on track, and they build great rapport with classmates this way. Writing and cognition are physical acts; it’s about blood and neurons and muscles–and sunshine and air and place. Movement aids learning; we’ve always known this. And it fits with de-colonizing teaching spaces and connecting with the land. Onwards! And thank you again for your contributions to these ideas. Very widely applicable.